Munich. 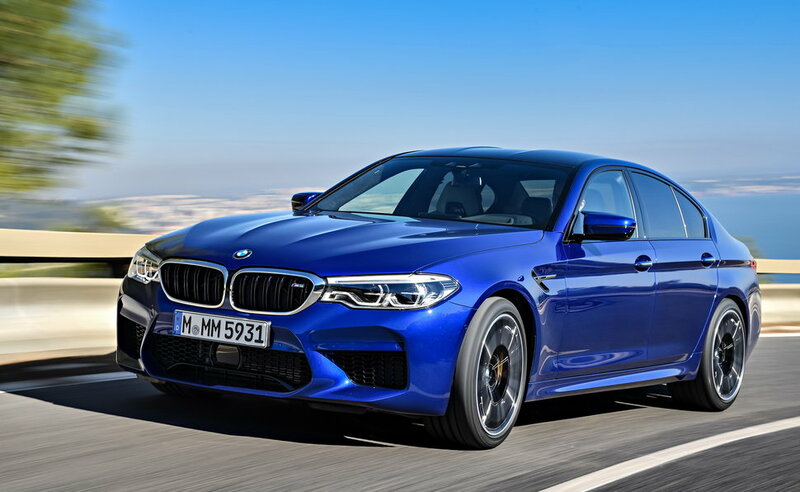 The BMW M5 (combined fuel consumption: 10.5 l/100km*; combined CO2emissions: 241 g/100km*) has been voted "World Performance Car 2018", making this the seventh time BMW has received a World Car Award from the organisation "World Car of the Year". The award ceremony was held on 28 March 2018 at the 2018 New York International Auto Show. There were a total of eleven vehicles in this category – performance-oriented cars of which at least 2,000 units are produced per year and which are available for purchase on at least two continents from 1 January 2017 until 31 May 2018. Selection and voting in all categories was carried out by an international jury made up of 82 leading automobile journalists from 24 countries. The BMW M5 is fitted with the latest version of the 4.4-litre V8 engine with M Twin Power Turbo Technology. An output of 600 hp and a maximum torque of 750 Nm guarantee supreme propulsion and phenomenal driving performance: the V8 biturbo engine accelerates the M5 from 0 to 100 km/h in just 3.4 seconds. The new M5 features the M specific all-wheel drive system M xDrive. Power transmission is taken care of by the new 8-speed M Steptronic transmission with Drivelogic: in conjunction with M xDrive, this ensures the power of the high-revving turbocharged engine is transferred to the road in perfect fashion. * The fuel consumption and CO2 figures are provisional and were calculated based on the EU test cycle, dependent on tyre format.